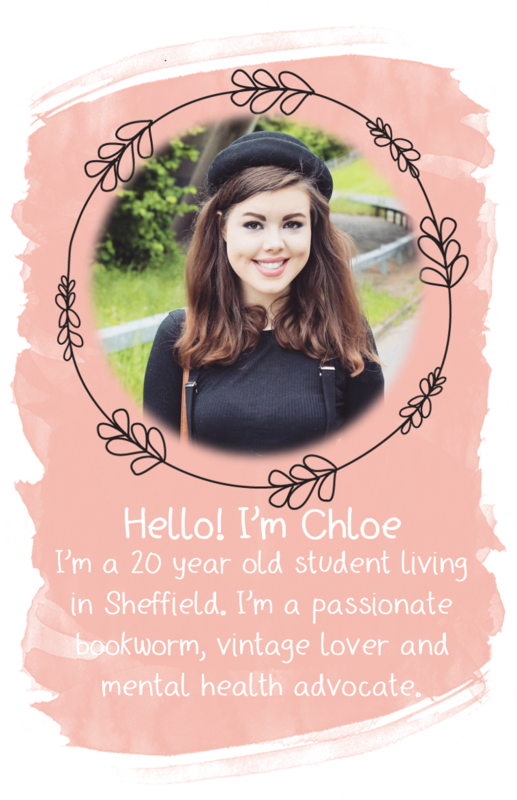 YOURS CHLOE: School Bag Beauty Essentials! When i'm at school I always like to be prepared for any 'beauty emergency' I (or one of my friends) may have, so in my school bag, I always have a kit of beauty essentials. As we're getting closer to the start of the new school year, I thought i'd share with you what I have in my kit! It's always good to have some wipes in your bag, as you'll never know when you'll need them! I carry hair bands with me everywhere I go! And seeing as my school are silly and don't let us wear a hair bobble on our wrist if we're also wearing a bracelet, I always keep a few in my bag. I love love love dry shampoo! It's a really easy pick me up for your hair after PE or if you're just having a bad hair day. If you're a regular reader of my blog you'll know that this is one of my most favourite makeup products in the history of the world. I keep it in my bag so if my skin is looking shiny (particularly in the summer months) I can pop some on. This is a pretty obvious essential... I particularly love the scent of this Dove 'Go fresh' deodorant, and it does it's job really well! If you're like me and can't stand the smell of hand sanitiser on your hands then try Soap and Glory's 'Hand Maid'. It smells gorgeous whilst keeping your hands super clean! Another beauty essential is lip balm! One of my favourites is the Strawberry Mini Milk lip balm from Topshop. I wrote a bit about this in my 'London Beauty and Jewellery Haul' post but this is the loveliest tasting lip balm ever ever ever. I seem to spend most of my day reapplying my concealer (oh the joys of having bad skin) so I always carry some around and this is my favourite concealer ever! I find that my hands get dry quite easily so I have to keep applying hand cream. The 'Hand Food' hand cream is such a fab product - it works so well and it smells delicious so I can't recommend it more! It's always really handy to have a few grips in your bag in case you need to pin your hair back! Clear Nail Polish is fab for applying to any holes in your tights as it stops the hole getting any bigger so I always keep some in my school bag. I also wear it on my nails during the school week as it's clear so the teachers can't tell that i'm wearing any nail polish! Another obvious one! I love this spray so much that I spend my whole life spraying it on myself and it drives my friends insane! It's not the cheapest of body spray but it lasts for ages so it's worth it! 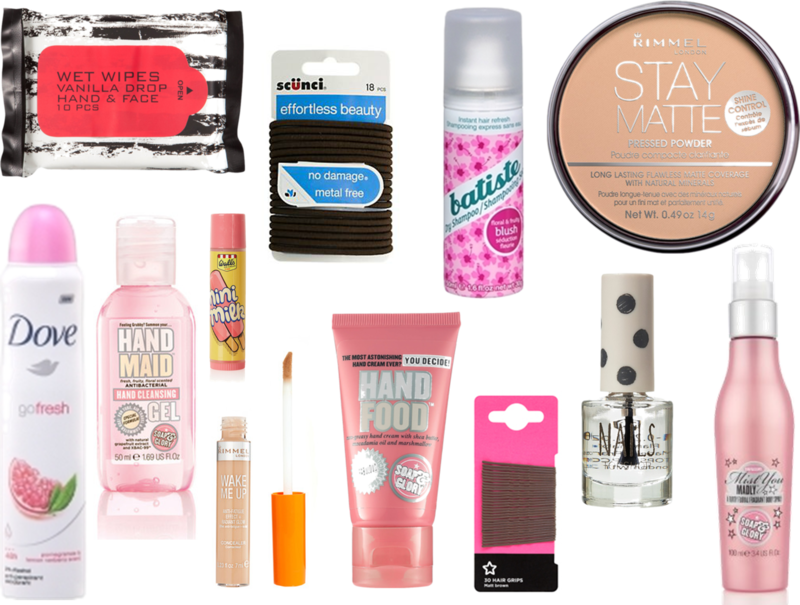 What are your school bag beauty essentials? Agree with all of it haha! I especially love to have rimmel matte in my bag and I really want to try the mini milk lip balm! the Stay Matte powder is incredible, it is one of the first makeup items I tried and I still use it. London Beauty and Jewellery Haul!